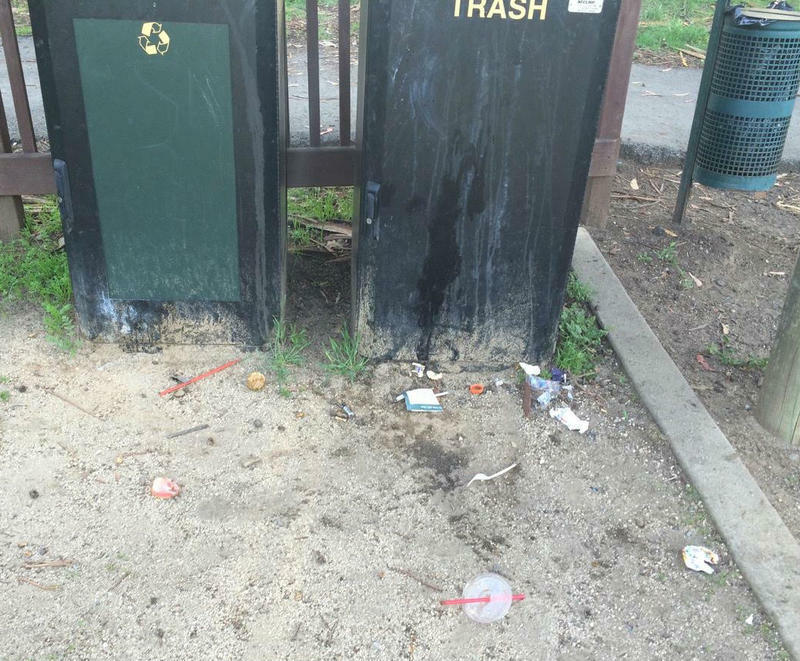 The scattered debris was modest around this trash receptacle in San Anselmo's Millenium Park before Heather Itzal collected it on September 5th. This is what she gathered on the 5th, arranged somewhat differently. Note the abundance of plastic straws. Three days later, this was the sight that greeted Itzla at the same site. 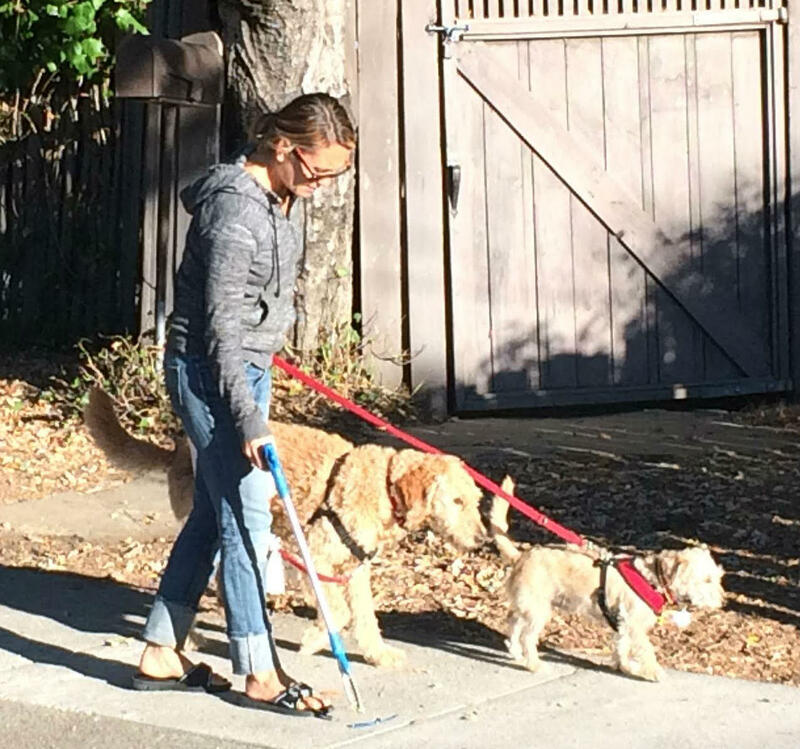 Heather Itzla (with companions) on the hunt for plastic litter in her San Anselmo neighborhood. Local parks are a popular place to escape the stress of urban life. But they’re not always free from urban problems… like litter. 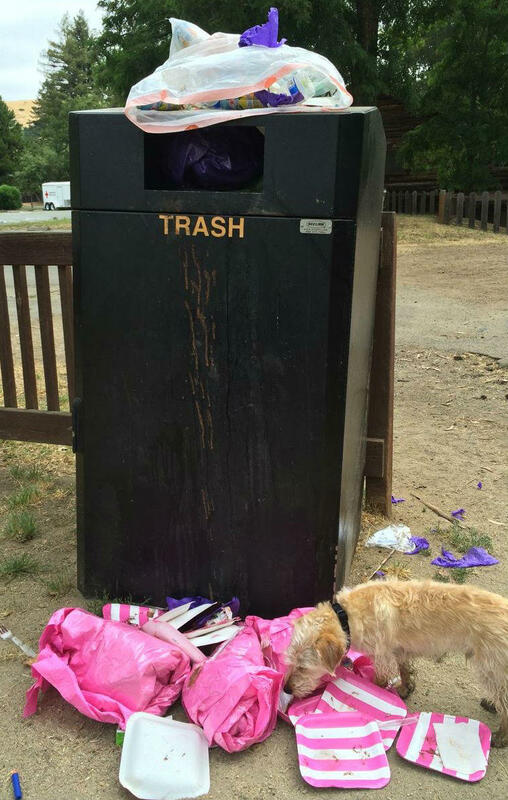 Litter in our parks and neighborhoods has become something of an obsession for one Marin county woman….and she’s on the quest to not only keep it at bay…but keep it out of the San Francisco Bay. Katie McMurran has the story. 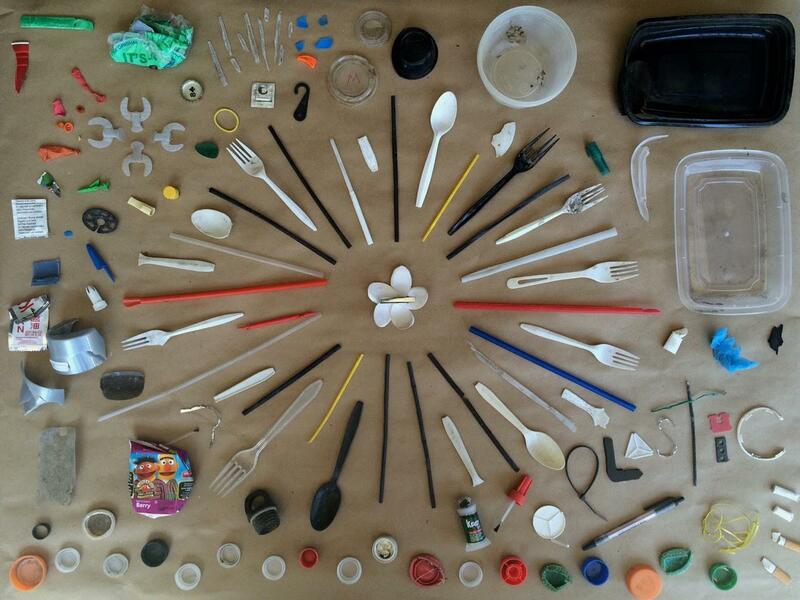 Itzla displays creative arrangements of her collections and talks about her Straw Project and other efforts to stem the tide of plastic litter on her website, There Is No "Away."